As a studio we approach design in a multitude of ways, from material led design to sketchbooks full of drawings. These initial ideas are realised through carefully researched production methods that you can read more about below or head to the journal to read our Production Stories. All of our products are screen printed in the UK. 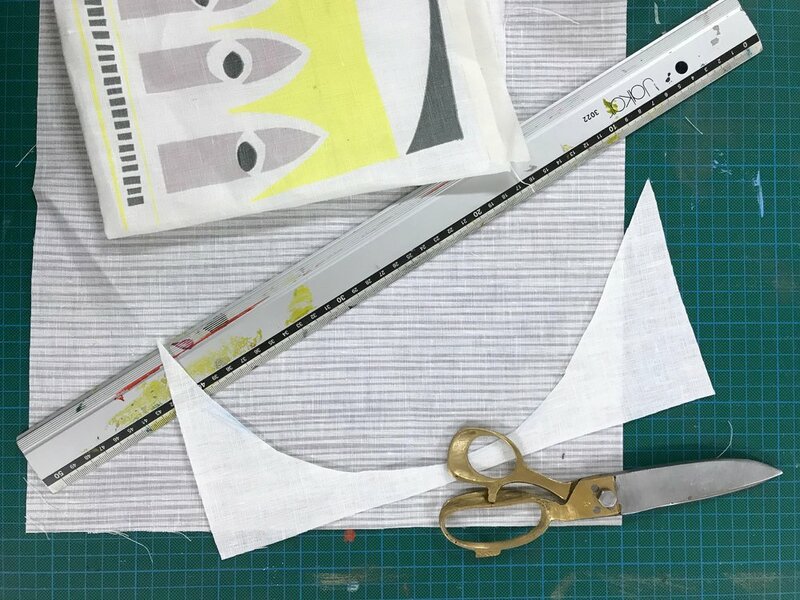 The sampling and small batch production is done at our Bermondsey studio, whilst the larger scale pieces are printed at a family run factory just outside of London. Screen printing allows us to carefully control the colour quality and longevity of our products as well as keeping an important British industry alive. We believe in creating products which have as little impact on the environment as possible which for us means using almost exclusively linen (aside from a bit of organic cotton or wool here and there!) Flax is a faster growing and hardier fibre than cotton, and therefore uses less water and pesticides to produce. It also ages beautifully ensuring that your products will grow with you. Our quilted fabric is stitched in Dorset by long armed quilting machine nickname 'Waltzing Matilda'. The quilts are a labour of love and each one takes up to 8 hours to stitch with Andrew carefully watching to ensure that the quilted lines match our prints. We strive to create products which are not only good for the environment but also good for the soul which is why we try wherever possible to work with social enterprises to create our products. We are currently working with a fantastic scheme within HMPS. Made for Change offers paid employment and training to the inmates of Downview prison, the project allows the women to earn a living and learn a new skill which will hopefully help them on their release. There is also evidence to suggest that the more time prisoners spend out of their cells and interacting in a professional manner the better their mental health and chances of success beyond the confines of jail.